It's no secret that FLOWERS make people happy, increase creativity and even promote well-being. Help us promote the many benefits of flowers through short videos that inspire the use and giving of fresh flowers. Show us your Flower Love! Congratulations to the winners of AFE’s #FlowerLoveVideoContest! Thank you to all of the participants, and to everyone who voted and ultimately named the lucky winners. AFE's new online video library is now available for the industry to use in advertising and marketing promotions to endorse flowers as the perfect gift for all occasions. Feel free to share the videos on social media, websites and other outlets! Click here to view the entire video gallery, including the winning videos and finalists. Follow AFE on Facebook and Twitter to make sure you don't miss our next opportunity! 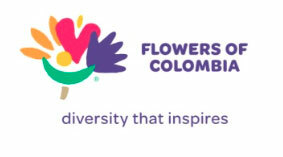 Special thanks to Asocolflores for their sponsorship of the contest! Jaclyn Fiola, "Let Happiness Bloom"
Mickelle Martin, "The Flower Princess"
Kristin Peters, "Happiness Blooms From Within"
DATES OF PROMOTION: The #FlowerLoveVideoContest (the “Contest”) starts at 12:00 AM Eastern Time (“ET”) on October 12, 2017, and ends at 11:59 PM ET on January 30, 2017 (the “Contest Period”). The Contest Period is divided into an entry period, a judging period and a voting period. The entry period starts at 12:00 AM ET on October 12, 2017, and ends at 11:59 PM ET on December 8, 2017 (the “Entry Period”). The judging period starts at 12:00 AM ET on December 9, 2017, and ends at 11:59PM ET on December 19, 2017 (the “Judging Period”). The voting period starts at 12:00 AM ET on December 20, 2017, and ends at 11:59 PM ET on January 10, 2018 (the “Voting Period”). ELIGIBILITY: The Contest is open to all legal US residents of the 50 United States and District of Columbia who are at least 18 years of age or older at the time of entry (the “Entrant”). Employees and their immediate family members (parents, children, siblings or spouse, regardless of where they live; or persons living in same household, whether related or not) of American Floral Endowment (the “Sponsor”), its parent, subsidiaries and affiliated companies, advertising and promotion agencies, and any other entities directly associated with this Contest are not eligible to participate. Void where prohibited or restricted by law. All federal, state and local laws and regulations apply. WEBSITE METHOD OF ENTRY - During the Contest Period, you may visit http://contest.endowment.org/ (“Website”), complete all required fields of the registration form and upload an original video positively featuring and promoting cut flowers or the emotional impact flowers have (“Video”) and a caption to receive one (1) entry (“Entry”) into the Contest. By submitting your Entry, you agree that your Entry conforms to the Entry Guidelines and Content Restrictions listed below (collectively, the “Guidelines and Restrictions”) and that Sponsor, in its sole discretion, may remove your Entry and disqualify you from the Contest if it believes, in its sole discretion, that your Entry fails to conform to the Guidelines and Restrictions. By submitting your Entry, in addition to rights granted below, you: (a) hereby waive any so-called moral (e.g., creative rights) in your Entry; (b) represent and warrant that you have the right to grant the rights granted in these Official Rules; and (c) represent and warrant that your Entry and its use as contemplated in these Official Rules does not and will not violate, misappropriate, or infringe upon any law or regulation or the rights of any third party, including any copyright, trademark, or any rights of publicity or privacy, or any other intellectual property or proprietary rights. If a minor child is in the Video, you, as the entrant, must be the parent or legal guardian of the minor child depicted in Video or must have permission of the parent or legal guardian of the minor child depicted in the Video and you must provide such consent to Sponsor, on minor’s behalf, upon request. By submitting an Entry, entrants (and winners) grant to Sponsor (and Sponsor’s affiliates, licensees and assigns) a royalty-free, irrevocable, perpetual, non-exclusive license to use, reproduce, edit, modify, publish, create derivative works from, and display such Entries in whole or in part, and otherwise exploit the Entry in all media now known or hereafter devised, throughout the universe, in any way Sponsor sees fit including, but not limited to, entertainment, instruction/education, promotional, advertising and/or marketing purposes. In connection with all rights granted herein, Sponsor (and Sponsor’s affiliates, licensees and assigns) shall also have the irrevocable right to incorporate Entries, in whole or in part, into other works, in any form, media or technology now known or hereafter developed. If necessary, entrant will sign any necessary documentation that may be required for Sponsor or its designees to make use of the non-exclusive rights entrant is granting to use the Entry. Proof of Entry will not be deemed proof of receipt by Sponsor. PRIZES & APPROXIMATE RETAIL VALUE (“ARV”): Grand Prize [one (1)]: $4,000USD issued in the form of a check. The ARV of the Grand Prize is $4,000USD. Honorable Mention Prize [two (2)]: $500USD issued in the form of a check. The ARV of each First Prize is the local currency equivalent of $500USD. All federal, state, and local taxes are the sole responsibility of Winners for their portion of the prize. Winner acceptance of prize constitutes permission for the Sponsor and its agencies to use winner’s name and/or likeness and photograph and any possible footage, photographs and video of the winner for purposes of advertising and trade without further compensation, including a winners list, unless prohibited by law. Winner hereby grants the Released Parties (as defined below) the irrevocable, perpetual, worldwide rights to use, reproduce, publish, edit, market, distribute, have distributed, publicly and privately display, communicate, publicly and privately perform, transmit, have transmitted, create derivative works based upon, and promote the footage (as described above), photographs and video (as such may be edited and modified by the Sponsor in their sole discretion) in perpetuity, for editorial, commercial, promotional and all other purposes. Grand Prize Winner will need to provide their Taxpayer ID# as a condition for receiving the prize. Prizes are awarded “as is” with no warranty or guarantee, either express or implied by Sponsor. Judging and Finalist Selection: At the end of the Entry Period, all Entries will be judged by an independent panel of judges selected by Sponsor based on the following judging criteria: Creativity / Originality (40%); Quality (30%) and Commercial Appeal (30%); (the “Judging Criteria”). The ten (10) Entries with the highest total scores based on the Judging Criteria will be deemed the potential Finalist Entries, subject to confirmation of eligibility (the “Finalist Entry”). In the event of a tie, a tie breaker will be based on the highest score in the Creativity / Originality criteria. If still tied, the Entries with the tied score will be reviewed head-to-head by the judges until a finalist is selected. Public Voting and Grand Prize / Honorable Mention Winner Selection (“Winner”): During the Voting Period, which takes place between 12:00 AM ET on December 20, 2017 and 11:59 PM ET on January 10, 2018 all legal US residents physically residing in the 50 United States and District of Columbia who are at least 18 years of age or older at the time of voting will have the opportunity to vote for their favorite Finalist Entry by visiting the Website and following the on-screen instructions to register and vote for an Entry. Limit one (1) vote per person, per day. Sponsor reserves the right to nullify any votes made through use of robotic, macro, automatic, programmed, proxy votes or like voting methods and to disqualify from voting the responsible individual, in Sponsor’s sole discretion. Any attempt by any voter to vote more than the number of times authorized herein using multiple/different names, email addresses, identities, and/or any other fraudulent mechanism or method, as determined by Sponsor in its sole discretion, shall give Sponsor the right to void those votes and disqualify that voter. Entrants are prohibited from obtaining votes by any inappropriate means, including, but not limited to, offering prizes or other inducements to members of public, paying a third-party service to vote for or obtain votes for a particular Entry, collaborating with other individuals or groups to trade votes, utilizing paid media amplification, or otherwise acting in contravention of these Official Rules, as determined by Sponsor, in its sole discretion, and Sponsor reserves the right to nullify any such votes, and to disqualify the responsible Entrant and his/her Entry from the Contest. Votes sent from foreign IP addresses may be disqualified, in Sponsor’s sole discretion. At the end of the Voting Period, the Entry with the most eligible votes will be the potential winner of a Grand Prize, subject to verification. In the event of a tie, the tied Finalist Entry that received the highest score from the independent judges during the selection of the finalists will be declared the winner. The two (2) Entries with the second and third most votes will be the Honorable Mention winners. NOTIFICATION: The potential winners will be notified by email on or around January 16, 2018. Subject to Sponsor’s sole discretion, should a potential winner be unwilling or unable to accept the Prize under the conditions stated in these Official Rules, or if a potential winner cannot be contacted within three (3) days of initial attempt and/or fails to respond to any notification attempt within three (3) days, or if any attempted notification or prize delivery is returned as undeliverable, the prize will be forfeited. Such potential winner will be disqualified and the Finalist Entry with the next highest number of votes will be deemed the potential winner. Sponsor will attempt to notify the potential winners as set forth above, but Sponsor is not responsible for any change of contact information of Entrant or for any undelivered emails, including without limitation e-mails that are not received because of a winner’s privacy or spam filter settings which may divert any Contest e-mail, including any winner notification e-mail, to a spam or junk folder. Each Prize will only be awarded to a verified winner. In no event will more than the stated number of Prizes be awarded. If for any reason, more Prize notices are sent, or more Prizes are claimed, than are intended to be awarded, Sponsor reserves the right to award the actual number of Prizes through a random drawing from among all verified and validated Prize claims received. Prizes not claimed by eligible Entrants in accordance with the Official Rules will not be awarded and will remain the property of Sponsor. Sponsor reserves the right to disqualify any Entrant and/or Entry that Sponsor determines, in its sole discretion, violates these Official Rules. Sponsor reserves the right, in its sole discretion, to cancel, terminate, suspend and/or modify the Contest, or any part of it, at any time, without notice. If for any reason this Contest is not able to be conducted as planned, including, but not limited to, by reason of infection by computer virus, bugs, tampering, unauthorized intervention, fraud or any other causes beyond the reasonable control of Sponsor which corrupt or affect the administration, security, fairness, integrity or proper conduct of the Contest, then Sponsor reserves the right at its sole discretion to cancel, terminate, modify or suspend the Contest, or any part of it, and award the Prizes from valid Entries received up to the termination or suspension date. INTERNET LIMITATIONS OF LIABILITY: Sponsor is not responsible for: failures or malfunctions of phones, tablets, computers or other hardware or devices (each a “Device”); phone lines, cellular systems or telephone or data transmission systems; interrupted or unavailable networks, server or other connections; any error, omission, interruption, defect or delay in any transmission or communication; traffic congestion on the Internet; or any technical problem, including but not limited to any injury or damage to any person's Device related to or resulting from Contest participation. NO LIABILITY; RELEASE AND INDEMNIFICATION: By entering, entrants and winners agree to release, discharge, indemnify and hold harmless the Sponsor and its parent, subsidiaries and affiliated companies, contractors, distributors, sales representatives, vendors, advertising and promotion agencies, prize providers and any other entities directly associated with this Contest, and each of their respective officers, directors, employees, representatives and agents (collectively, the “Released Parties”) from and against any claims made by entrants, or by any third parties, related in any way to the operation of this Contest, as well as any other claims, damages, charges, fines or liability due to any injuries, damages or losses to any person (including death) or property of any kind, or any claims of violation of rights of publicity or privacy, defamation or portrayal in a false light, resulting in whole or in part, directly or indirectly, from acceptance, possession, misuse or use of a Prize or participation in this Contest or in any Contest-related activity. The Released Parties shall have no liability for any problems or errors of any kind whether computer, network, mechanical, human, electronic, typographical, printing or otherwise relating to or in connection with the Contest. DISPUTES: THIS CONTEST IS GOVERNED BY, AND WILL BE CONSTRUED IN ACCORDANCE WITH, THE LAWS OF THE COMMONWEALTH OF VIRGINIA, AND THE FORUM AND VENUE FOR ANY DISPUTE SHALL BE IN FAIRFAX COUNTY, VIRGINIA. THE REMEDY FOR ANY CLAIM SHALL BE LIMITED TO ACTUAL DAMAGES, AND IN NO EVENT SHALL ANY PARTY BE ENTITLED TO RECOVER PUNITIVE, EXEMPLARY, CONSEQUENTIAL OR INCIDENTAL DAMAGES OR HAVE DAMAGES MULTIPLIED OR OTHERWISE INCREASED, INCLUDING ATTORNEYS’ FEES OR OTHER SUCH RELATED COSTS OF BRINGING A CLAIM, OR TO RESCIND THIS AGREEMENT OR SEEK INJUNCTIVE OR ANY OTHER EQUITABLE RELIEF. PARTICIPANTS AGREE THAT THE RIGHTS AND OBLIGATIONS OF ANY PARTICIPANT AND/OR RELEASED PARTIES AND/OR ANY OTHER PARTY SHALL BE RESOLVED INDIVIDUALLY, WITHOUT RESORT TO ANY FORM OF CLASS ACTION. ANY DEMAND MUST BE FILED WITHIN ONE (1) YEAR FROM THE END OF THE CONTEST PERIOD, OR THE CAUSE OF ACTION SHALL BE FOREVER BARRED. PUBLICITY RELEASE: Each Winner consents to the use of his/her name, photograph, likeness, biographical information, and voice for promotional purposes and in advertising worldwide without approval rights or additional compensation, except where prohibited by law. WINNERS LIST: A list of winners will be available on the Website from January 30, 2018 to March 1, 2018. SPONSOR: Contest is sponsored by American Floral Endowment, 1001 North Fairfax Street, Suite 201, Alexandria, VA 22314 Sponsor is solely responsible for all aspects of this Contest.